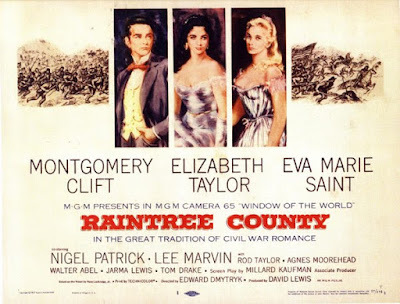 "In the great tradition of Civil War Romance" -- is the supposedly tagline to Raintree County. 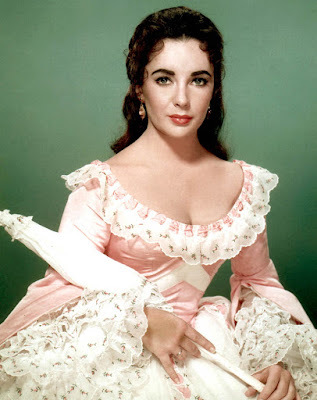 Herein, the young and beautiful Elizabeth Taylor plays a Southern Belle, Susannah Drake. The 1957 film that also stars Montgomery Clift and Eva Marie Saint was, in my opinion, no Gone with the Wind. But heck! GWTW started the Civil War Romance in ways that no other civil war romance could probably achieve after it. 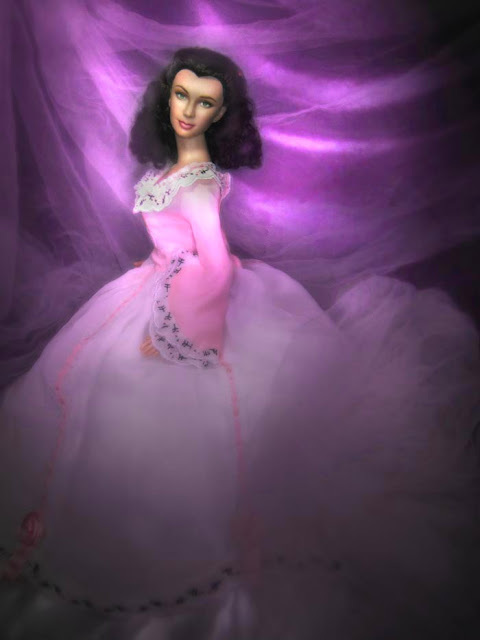 And of course, there is the iconic Scarlett O' Hara. 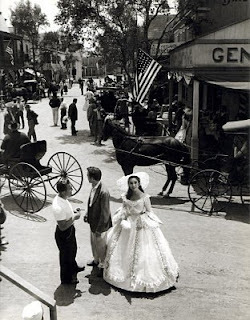 This gown is one of the dresses worn by Susannah in the film. 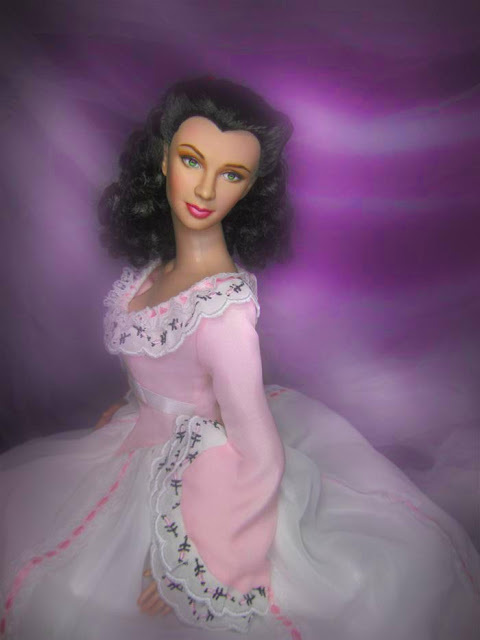 It has a pale pink bodice adorned with lacey type of collar (also on the sleeves). 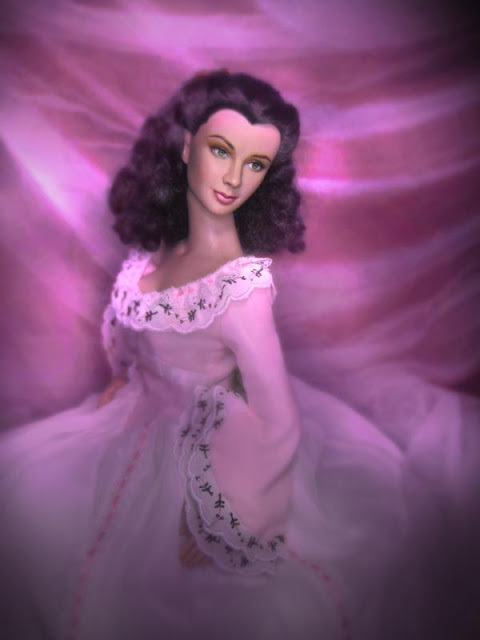 If the mood and tone of this gown is familiar it is only because it too was designed by Walter Plunkett -- who made those iconic dresses from GWTW. Here we can see a full look of the dress. It should come with a hat and parasol, but when I purchased this I think Franklin Mint only made the dress. It is a rare find too. There was one ebayseller who was selling this for $250 -- thereabouts. What a crime right? Fortunately, I found one that sold it for a more reasonable amount.